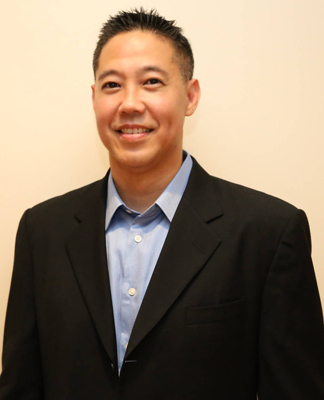 Honolulu dentist, Dr. Wade Takenishi graduated from UCLA dental in 1996. He completed a mini residency in Esthetics and Cosmetic Dentistry and was accepted to the Advanced Education in General Dentistry also at UCLA. For one year he studied advanced techniques in Cosmetic, Implant, Restorative, Hospital dentistry, Crown and Bridge, and Removable Dentures. He then returned to Hawaii to join his father Elmer Takenishi in practice in 1997. He has been practicing ever since. Dr. Wade is also one of the two doctors that is a certified CEREC instructor. His focus is on comprehensive care and treating patients like family. He loves what he does and hopes to continue helping care for his patients teeth for many years to come. Karen is an integral part of Dr. Takenishi's dental practice. Her knowledge of dentistry is only surpassed by her kindness. She has been working with Dr. Takenishi since 2005. Karen is always friendly and ready to help patients. She loves music and doing lab work. 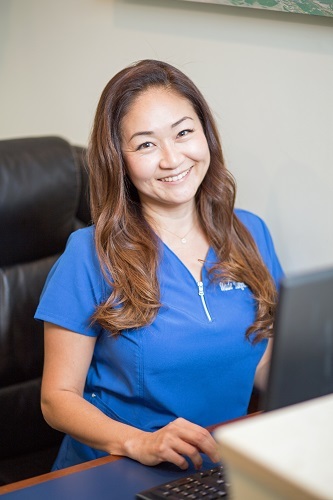 Junko has been in the dental field for over 8 years. Her knowledge of insurance and treatment options makes her extremely valuable to our patients and the staff. She is a fantastic mother and wife. She enjoys traveling and is an avid foodie. She has never had a loco moco. Whitney has only recently started in the dental field, but is one of our stars. She is great with patients and is dependable. She is an advocate for patients and always working to provide the best patient care. On the weekends she enjoy spending time with her daughters, family and friends. Abby is a graduate from the University of Hawaii and is a homegrown product. She is very dedicated to her craft and is constantly learning new and innovative knowledge that helps her patients take care of their teeth. She hails from the proud city of Mililani. She is kind and caring and it shows in her work. She loves her 3 dogs! Momi has over 7 years of dental experience and a heart of gold. Nothing is more important to her than the welfare of our patients. She loves sushi! She is super busy with her husband and family on the weekends. Soccer mom during the weekend and assistant during the week. She is our Cad/Cam specialist and scanning expert.